Mine Run - Troop Movements. After the July, 1863, Battle of Gettysburg, Confederate General Robert E. Lee's Army of Northern Virginia and Union Major General George G. Meade's Army of the Potomac returned to Virginia soil establishing lines on opposite sides of the Rapidan River in northern Virginia. From this location a series of battles were fought, ending with the Mine Run Campaign in November/December. In November, Meade learned that several fords across the Rapidan River (including Jacobs, Germanna, and Culpeper Mine) which were located on Lee's right flank , were unguarded. Accordingly, he decided to use the fords to cross the Rapidan and attack the Confederates from the rear. His attack, scheduled for November 24th, was delayed for forty-eight hours due to heavy rains. It was during this delay that a Confederate scout reported to Lee that the Union army was intending to move. On November 26th the Union army, using the aforementioned fords, crossed the Rapidan River and proceeded down the Orange turnpike, and other roads, toward the rear of Lee's lines. They hoped to reach Robertson's Tavern at Locust Grove that day, but the muddy roads, caused by the previous rains, slowed their travel and they halted far short of the tavern. At the same time, Lee began shifting his army east to block the Union army's flanking move. Daybreak on the 27th found both sides moving toward each other. Skirmishing began about 11 a.m. near Robertson's Tavern (Locust Grove) between the Confederate divisions of Major Generals Jubal A. Early and Robert E. Rodes, and Major General Gouvernor K. Warren's Union Second Corps (See , above). The fighting continued throughout the day, as both sides awaited the arrival of reinforcements. Meanwhile, three miles to the south, Brigadier General David M. Gregg's Federal cavalry clashed with Major General J.E.B. Stuart's Confederate horsemen near New Hope Church on the Plank Road. 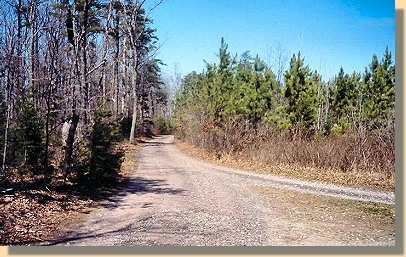 The access road (foreground) to the New Hope Church comes from the Orange Plank Road, Route 621 (background), which crosses in front of the Church in the distance. Both sides fought a holding action until about 2:30 p.m. when Major General Henry Heth's Confederate division occupied the key high ground west of the church. A short time later the men of Major General George Sykes's Union Fifth Corps arrived and pushed Heth's division off the hill, occupying it themselves. Meade ordered Sykes to hold his position until the entire army was ready to attack. Father to the north, Major General William French's Union Third Corps, in an effort to unite with Warren's corps at Robertson's Tavern, advanced slowly up Woodville Road from Jacob's Ford to the crossroads at the Widow Morris farm. Woodville Road looking towards Jacob's Ford. 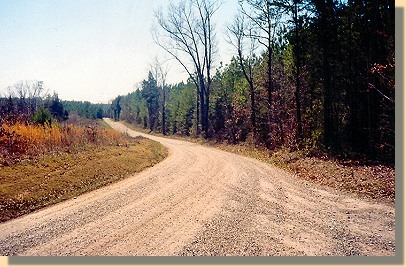 French's Corps came down this road (toward the camera). 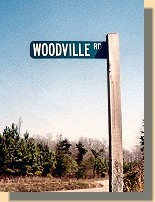 The right fork led directly to the tavern after merging with Raccoon Ford Road, (modern State Route 611) which was partially blocked by Confederate cavalry. It also led to the exposed left flank of Rodes division. The left fork also led to the tavern, but by a much longer route. French lost valuable time pondering which road to follow. Generals French and Prince wasted several hours at this location debating which road to take. 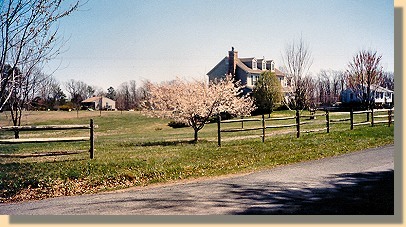 During the fighting at Payne's Farm, French used the Widow Morris house as his headquarters. A modern structure now stands on the site of the Morris house, at the southeast corner of the road junction.